I linked to this yesterday, but it really needs to be an entry of its own. A Saudi sheikh, one Yahya Al-Jana’, tells his followers why one should abstain from chasing slutty, uncovered women in this world: because in the afterlife they’ll get slutty virgins who really dig guys who blow themselves up, slit kuffar (1) throats, and burn people alive. Do you get the impression Sheikh Yahya thinks about this a lot? (1) The plural of the word “kufr,” meaning “unbeliever.” That’s us. Whatever good there is exists thanks to the sword and in the shadow of the sword! People cannot be made obedient except with the sword! The sword is the key to Paradise, which can be opened only for the Holy Warriors! There are hundreds of other [Qur’anic] psalms and Hadiths [sayings of the Prophet] urging Muslims to value war and to fight. Does all this mean that Islam is a religion that prevents men from waging war? I spit upon those foolish souls who make such a claim. Islam, in its classical interpretation, is a comprehensive sociopolitical system with its own legal code. Yes, it has some strictly theological tenets (e.g., the oneness of Allah, the conceit that Mohammed is the final prophet). These, however, comprise but a small percentage of Islamic belief, which covers the full extent of political, economic, and social life — from warfare to hygiene, in exacting rules resistant to change. That is why in virtually every Islamic society — i.e., wherever sharia is incorporated into law — the separation of spiritual and political life is rejected; it is why we find misogyny, anti-Semitism, homophobia, ruthless discrimination against religious minorities, hostility to freedom, suspicion of reason, and backwardness in economics and education. And millions upon millions of devout Muslims around the world believe this is the way things should be, and a significant portion of those are willing to act on it and fight to impose it on the rest of us, having become radicalized in service to a radical ideology. The most dangerous one in the world, today. PS: And yet I’m sympathetic to the wish for a term to separate truly peaceful Muslims who have no desire to impose Sharia on the rest of us from the maniacs who see our corpses as their steppingstones to Paradise. Perhaps “Islamism” is the best compromise, describing the movement of those willing to act on Islam’s aggressive urges. Regardless, we need to be honest about Islam, the religion and the ideology. There’s a reason I refer global warming alarmists as “cultists” and their movement as the “Church of Anthropogenic Global Warming.” Click through for more. 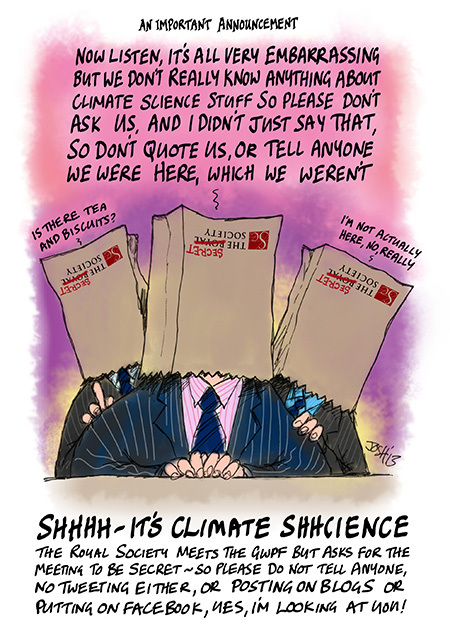 The Anthropogenic Global Warming (AGW) cult is getting desperate now that their dire predictions of global warming are coming under intense scrutiny since the Earth’s temperature anomalies have been flat for over 18 years. Instead of confronting the inconvenient truth of this data and reworking their flawed models they instead choose to double down on the same tired predictions that just aren’t coming true. 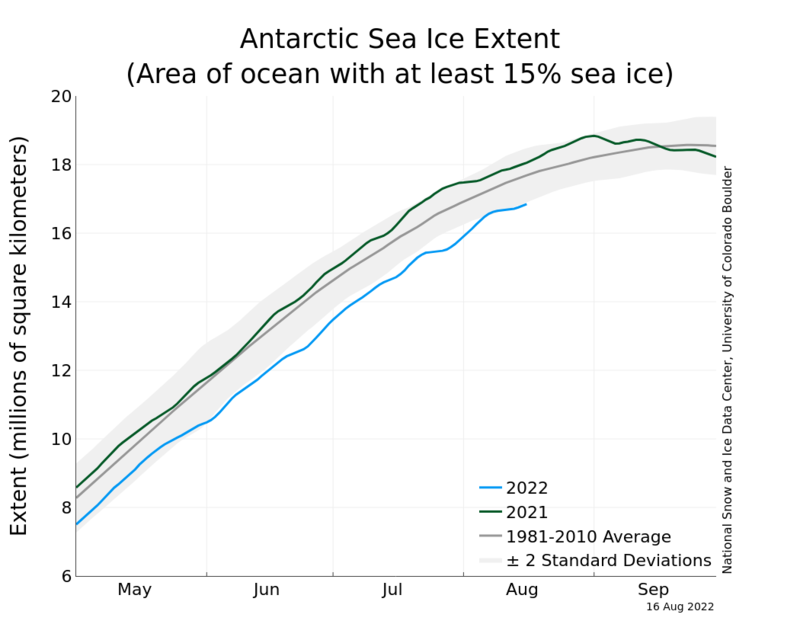 That’s a nice prediction you have there but unfortunately the data from the National Snow and Ice Data Center the Antarctic sea ice extent show that for the past 2 years the sea ice down there has been ABOVE the 2 standard deviation level of the average from 1981 to 2010. The AGW cult is beyond pathetic. Once again showing Nature has a sense of both humor and irony, and Climate Cultists have neither. Quebec City Climate Protest – Photo credit: © Greenpeace/Robert van Waarden (License Creative Commons “Some Rights Reserved”). Image resized from original. Thousands of protestors, mostly dressed in high tech nylon and plastic cold weather gear, tramped through the snow in Quebec City last Saturday, to protest against global warming. The organizers aimed to press provincial and territorial leaders to turn the tide on oil sands expansion and the corresponding development of pipelines. “They were just really, really there to send a message to get the premiers to focus on climate because it is an important thing to focus on and it’s just not on the political agenda right now,” said Ms. Hassan. Red-clad protestors formed a thermometer to send a message about climate change. Meanwhile, #ActionClimat was trending on Twitter.